Are you ready to start the workplace learning analytics journey? In a six-part series, Trish Uhl – Founder, Talent & Learning Analytics Leadership Forum – offers insight to L&D professionals on the components of a workplace learning analytics strategy. Part one looks at how to get started on your workplace learning analytics journey. Workplace learning analytics is a specialised segment of the broader people analytics movement that involves applying business analytics to corporate training and organisational learning. Learning practitioners to talent development executives are putting analytics into practice to better enable learning programmes and the learning function. Why? Because many of us are eager to get the best use out of our data – to mine our learning technology systems to prove the effectiveness of our learning solutions, the value of our training programmes and the organisational impact of our learning function. However, leveraging analytical capability in organisational learning doesn’t start with data, it starts with strategy. And strategy starts with looking at the ‘Why’. Why do you need to build analytical capability in your learning function? What is driving you to get your hands dirty with data? Ready to start the learning analytics journey? What do you intend to use analytics for? Analytics is not meant to be an academic exercise. It’s an action-oriented discipline used to drive improvement from benchmark to goal. Successful use of analytics as a practice means providing insights into past, present and anticipated future progress towards meeting organisational goals. What, then, are your organisation’s goals? What are your performance and quality targets? In other words, what will improve through investment in analytics? Some view analytics as a new take on traditional training measurement and evaluation. While analytics can be used for these, to only do so is narrow, limited in scope and not likely to produce a return that justifies the investment. The reason being that a roadmap and strategy that delivers on higher levels of maturity - advanced analytics - is, on average, a two year commitment. You need to make the outcomes worth the journey. So is building a mature workplace learning analytics practice worth it? Embedding analytics within our learning solutions allows us to provide timely, relevant, personalised, tailored feedback to delegates and managers. A mature workplace learning analytics practice can move organisational learning beyond a reactive, tactical role to a proactive, strategic partnership in alignment with organisational outcomes. It also puts the learning function on par with how other business leaders manage their operational areas and business units. To provide tailored, personalised feedback that helps people contribute to the business in a way that makes the most of their skills and abilities. Given your goals and strategic objectives, which one is right for you? We make decisions, small and large, every day that impact how individual and organisational needs are assessed: which learning solutions are selected (and why); how learning programmes are implemented, tweaked, optimised or eliminated; how the learning team is developed over time (and which skills and tools are focused on); and how we provide support to our delegates and their managers before, during and after instructional events in a learning system. These decisions are often made based on experience, expertise, subjective opinion, preference and even gut intuition. Analytics can help us uncover unique insights about people in our organisations that could enable faster, more accurate and more confident decision making with regard to a wide variety of questions and challenges. We don’t necessarily have to use analytical output to replace (data-driven) expertise or domain knowledge, we can use analytical output to augment (data-enable) our experience and expertise to improve successful outcomes. Consider the decision making model in Figure 1 below. This model illustrates how analytics can be embedded within the decision-making process where data is analysed using analytical tools and methods; analytical output (depending on the selected analytical approach) then provides actionable insights into what has happened (historical), what is happening (present) and even what will happen (future). We can then use the analytical output as input into decisions and actions based on benchmarked measures and metrics. 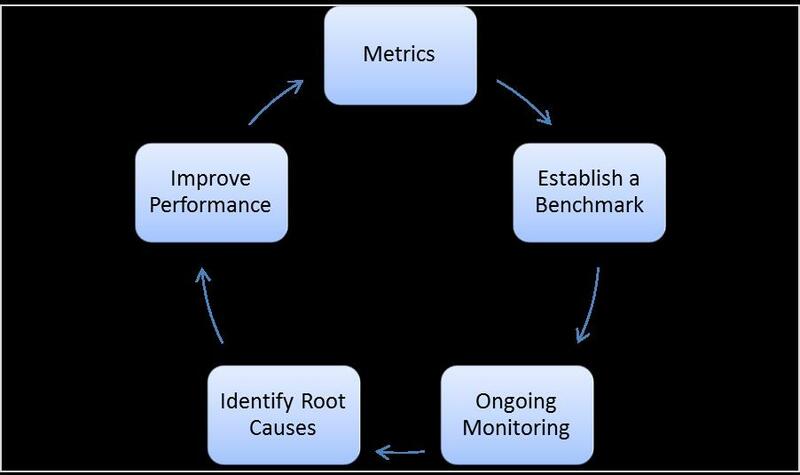 Figure 2 (below) provides a visual flow for using analytics to monitor, measure and manage key performance indicators (KPIs) and metrics for continuous improvement. This practice allows learning executives, practitioners and professionals to gauge what’s on/off track, troubleshoot bad performance, diagnose root cause and to take specific corrective action (as necessary). Further, embedding analytics within our learning solutions not only provides us with feedback, it allows us to provide timely, relevant, personalised, tailored feedback to delegates and managers as well. Expanding our analytics capabilities gives us the ability to acquire real-time (or close to real-time) feedback, thereby enabling us to ‘listen’ – to ‘sense’ – and to be more responsive to human and organisational needs as those needs evolve and change. This feedback loop can be multidirectional, allowing us to stay attuned to organisational and employee needs and to provide feedback to employees and the organisation that informs behaviour and performance. Workplace learning analytics is a mechanism by which we can make this transition and transform the learning function. In his 2015 Forbes article, ‘Feedback is the Killer App’, Bersin cites the ability of organisational learning to provide fast feedback as critical to our value proposition going forward as we transition from delivering instructional products to producing learning experiences. "You cannot really maintain employee experience without listening to your people on a continuous basis. To do so effectively, organizations need a set of tools to facilitate continuous listening; which goes well beyond annual surveys. They [companies] want a system for multidirectional feedback that encompasses pulse surveys, developmental feedback, and coaching. They want agile, self-directed learning tools." Depending on your goals and strategic objectives for building analytical capability, this is an area where analytics can be of most benefit both to the learning function as well as to the organisations and people we serve. Learning today can no longer be static and fixed. Learning experiences must be flexible, dynamic and versatile, moving at the speed of business with velocity and agility to address change and complexity, and adapting to evolving needs. For many practitioners, implementing these feedback and response loops in their learning solutions is a BIG shift in mindset and practice from designing, developing and delivering a fixed instructional ‘product,’ regardless of whether that product is instructor-led classroom training, elearning, mobile learning, virtual instructor-led or microlearning. Delivering the thing is no longer enough. Providing measurable value in the form of positive people impact and organisational outcomes now requires a focus on delivering results. This means we need to adopt a mindset of continuous improvement. And think strategically. Starting an analytics journey does not begin with the intent of using analytics to prove the effectiveness or value of our solutions or of the learning function. Instead analytics should be used for continuous improvement of the learning function so that our solutions are effective and on track for delivering value. So craft your workplace learning analytics roadmap with a commitment to leveraging analytical insights to create responsive, agile learning systems. This will help you deliver measurable value to the people and organisations you serve who, in turn, can learn faster and achieve more. The substance of the articles in this series is derived from Workplace Learning Analytics: Moving from Strategy into Action (June 2018). Trish Uhl, creator of the Learning Systems Engineering Framework™, engineers dynamic, responsive, adaptable learning systems and leads project teams in design and development of data-enabled, results-driven learning experiences. As founder of the Talent & Learning Analytics Leadership Forum, Trish works with heads of Talent & Learning Development globally on setting and executing strategy for learning transformation and data-enablement projects. In addition, Trish works with talent and learning leaders on the professional development of their L&D teams, expanding the team's focus from instructional products, to engineering dynamic learning systems leveraging data science, advanced analytics, artificial intelligence (AI) and predictive modeling to promote positive people impact and organizational success. Trish regularly keynotes conferences, teaches workshops and works directly with client leadership teams across North America, Europe, Asia, the Middle East and Africa.